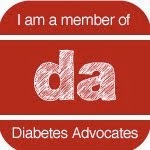 Texting My Pancreas: Giveaway: N-Style ID. UPDATED: Congratulations to the winner - April! This contest is now closed. When I was a CWD (child with diabetes) in the late 80's/early 90's, I had two options: I could wear the clunky, thick, stretchy metal bracelet whose links always seemed to trap my arm hair (and then rip it out when the bracelet shifted on my wrist), or I could sport a large (to a child) medallion around my neck that announced by way of bright red caduceus: OH HAI I HAVE A MEDICAL CONDITION! And when I was a CSWD (college student with diabetes) (that's not a real acronym), I wore no external indication of my diabetes whatsoever. This continued into adulthood until I attended the Friends For Life conference for the first time few years ago, where it seemed that so many of the people I'd befriended and respected in the diabetes online community were being the sort of responsible adult that I merely pretended I was - they wore ID bracelets! And there were stylish options! Alright, alright, fine, I'll get one. In the spirit of "I'm glad I started wearing medical IDs again", I'm looking to share the love. N-Style ID (whose founder has a daughter with T1D, and coincidentally the same company I bought that first "medical ID as an adult" bracelet from) contacted me, asking if they could send me one of their bracelets - but since my N-Style ID is working just fine I'd rather pass this gift onto one of you. There will be one winner, and your bracelet's ID plate will be engraved however you wish. Your bracelet will be shipped directly to you from N-Style ID. Use the Rafflecopter widget below to enter this contest and make sure to leave a comment on this blog post answering the following questions: Do you normally wear medical ID jewelry? If so - what do you wear? If not - why not? Bonus entries may be earned by liking the N-Style ID Facebook page and following them on Twitter! This contest will be be open for 48 hours; I will pick a winner Friday morning. This is not limited to U.S. residents - all are encouraged to enter. I do wear a medical ID bracelet. I have been wearing the same one for 14 years since my diagnosis! It is very simple- just a metal bracelet from Medic Alert. I have always worn and ID bracelet. My mom made a deal with me: if I wore my ID bracelet, she would start wearing her seatbelt (It was the early 80s and my mom grew up not wearing them.) I would fuss at her for not wearing a seatbelt and she would fuss at me for not wearing my ID. So we agreed to each remember to wear our "safety belt" and if we saw the other not wearing it, we could remind the other. Now I feel naked without one. Soooo I don't wear a medical ID bracelet AND I have hypo unawareness. Awful, I know. I guess I'm just not that great at that kind of "adult stuff" sometimes. I did have one at one point but it broke and I never got around to getting another. But these are super cute so I think I'll order one even if I don't win! I do wear a Medic Alert bracelet, though it took me 15 years to start wearing it. For the same reason you mentioned, I hated wearing them because they were so uncomfortable. I was also the only kid I knew with T1D, so it made me feel even more isolated and awkward. Once I started volunteering for a T1D camp, I saw all these adolescent campers wearing them and decided if they can, why can't I - and I've been wearing one ever since. I also have a Medic Alert sticker on my front windshield so if I'm in an accident or something and the bracelet snaps off, hopefully they'll see the sticker and help me out! I was just diagnosed 3 months ago and just recently received my medical ID necklace. I haven't taken it off since I got it! I got this necklace from The National Kidney Foundation for free. They misspelled my first name wrong. (Stephaine, instead of Stephanie) I never wanted to complain to them due to their generosity. It just gives me a chuckle every time I look at it! I do wear a medical ID. I didn't at first, but when three family members expressed concern in a two-week time period about me not wearing one, I decided I should have one. I haven't needed it, but it makes me feel better to have it. I have worn a Medic Alert bracelet ever since I was dx 23 years ago. I've never needed its services, but I wear one because I'm not taking any chances! would like to have one for daughter, dx in April 2014. Congratulations, April - you're my winner! I cant get the raffle thing to load. My son used dogtags, but the only time he wears it is to the endo! I bet he would wear the camo one! My daughter (13) was wearing a pretty cool ID bracelet for a while when she was first diagnosed last year. But recently she has stopped wearing it, she is still going through denial and rebellion about the whole thing. It's been a tough year. Hang in there. It waxes and wanes. :( I've been that rebellious 13-year-old and if your daughter is anything like I was at that age I feel bad. The only thing I can say is that it will soon pass - but you might want to keep any valuable china under lock and key. I also had that boring plain bracelet as a kid and i hated it. I was never much of a bracelet wearer and I'm still not. And my neck was reserved for cute things, not my diabetes. I think I have a medical alert bracelet in my jewelry box but the fact that I don't know means I haven't worn it in a while! I don't currently wear any medical ID. I used to! But I lost my favorite bracelet and I haven't been able to find another one I would want to wear 24/7. But the Light Blue Rubber looks almost exactly like the one I used to have! It would be great to have another one just like it! 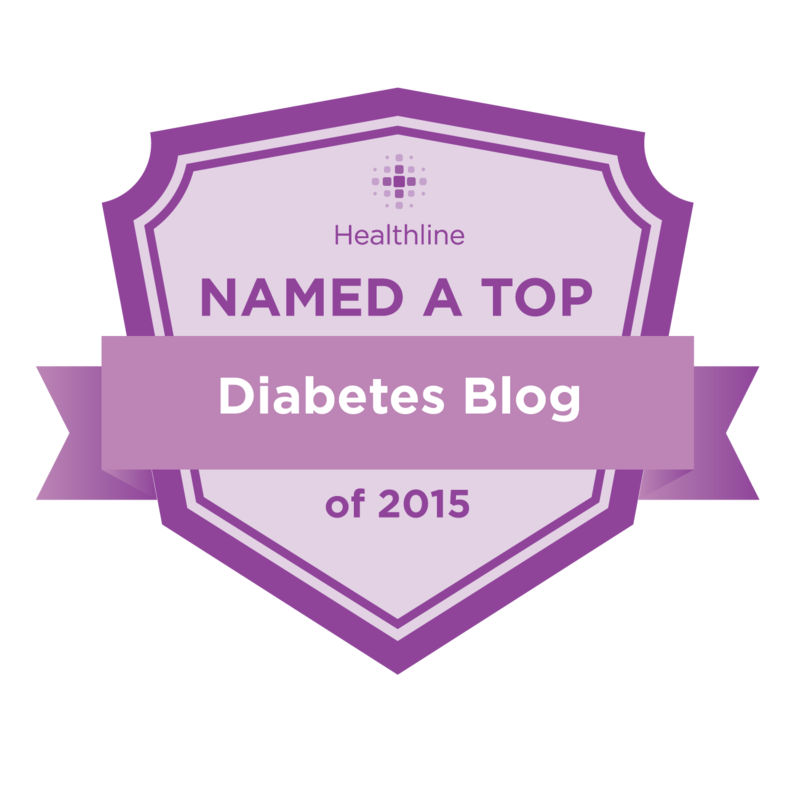 I do wear a medical ID, because I've had Type 1 for 25+ years, I am hypoglycemic unaware. It's important to know that if I couldn't speak for myself, the ID would at least let others know how to help me. Although that has never been necessary, I prefer to play it safe so that I can continue to enjoy my family and life. My son is on and off about announcing that he is T1D. Just entering 3rd grade he wants to be the same as everyone else. I recently got him the temp tattoo medical alerts, but being as active as he is, they wash off within a day or two. He would wear the camo one for sure...perhaps even be the cool kid in class! As a new diabetic all the things going on in my life currently. I completely forgot about the medical ID. The concept is cool, but I am unsure about it really. As someone who is over 200bg all the time (a huge improvement from what I actually was when I was diagnosed.) I don't really know how it's effective rather than be a spotlight for attention when people notice it. In 28 years of living with diabetes, I've never *needed* it, either - but I like the peace of mind that comes with wearing it. Safety net, and all that. Yep. I'm a college student at a large university and while I hate it sometimes, I know that if something were to ever happen people would know and be able to help me better! My son doesn't wear one yet, he is six and I have been looking for something age appropriate. I tried to wear one briefly in my early college years, soon after diagnosis. I hated the snake design, and one day I wanted to wear some different jewelry but the Med I.D. couldn't be easily removed. I had someone take it off for me, put on my other bracelet, and threw away the medical chain. Kind of want to start wearing one again, in that it would be more secure and I want to show some diabetes pride, but it's hard to get something that suits my personality and also has the flexibility of being removable when I need it to be. My daughter occasionally wears an ankle ID bracelet, but more often than not, does not wear it at all. Since she now lives on her own, this worries me. I think she would wear the light blue rubber bracelet which would make me very happy. I don't currently wear one but I'd love to have one - you just never know when it could come in handy! I do wear a plain jane type of bracelet cuz I live on my own, but I would love to have a pretty one! I do wear a metal ID necklace but these are so cute and fun. I would enjoy one. Thank You!! I wear mine whenever I'm out and about on campus--its a huge campus and I have a lingering fear of having a problem somewhere along my walks between classes, so I figured I'd better tag myself! I wear mine on a bracelet my husband made for me a couple years ago. I'm worried it's going to break soon, so having a backup (like that blue one!) would be awesome. my son wears a dog tag style medical ID. he used to have a bracelet, but it broke. a new bracelet would be nice. I wear a bracelet. I wear one because I have two kids and also because I am a substitute teacher. I want to inspire/encourage all of the many many kids I get to teach to keep wearing their medical alert bracelets and to know it isn't something they need to be embarrassed/uncomfortable about! It doesn't make us weird or different, I want them to remember they aren't alone. My daughter wears her ID. She has autism and T1D so even in situations where she is conscious, she would most likely be unable to tell anyone. My daughter was diagnosed at 6 yrs. old. She was good about wearing her ID bracelet until she hit her tweens. I think she would wear the blue rubber bracelet. It sure would give this mom some peace of mind. I was diagnosed in 2006 and have never worn a medical id bracelet. Not because I didn't want to. Mostly because I didn't think it was a huge deal. I'd never been in a situation where one was needed. Now that I have kids though I feel like anything could happen and I should be better prepared. I've been looking into getting an id bracelet for awhile now. Just haven't found one I liked/could afford. I've had diabetes since 1992 and I've probably worn a medic alert bracelet for 6 years total. I can't seem to find one that I like enough to wear (terrible excuse, I know). I wear a pump which seems very obvious to me that I have diabetes but I know I shouldn't expect others to immediately be able to recognize a pump. A more attractive bracelet would be wonderful! My son, 10, removes his after a short time. I want to try the camo one. Always hoping to find one he will wear. I got a new bracelet by finding a regular ID bracelet that I liked on Etsy and having the vendor do a custom listing for me, making it a med alert bracelet. It's much more pleasant to wear one if it fits your style! I don't wear medical ID jewelry because it always looks .... well, too MEDICAL. I really should do it, I know, but I haven't found much I like (and what I do like seems to be very costly).